Bisca designed 2 flights for a London property, working with Thomas Croft Architects. 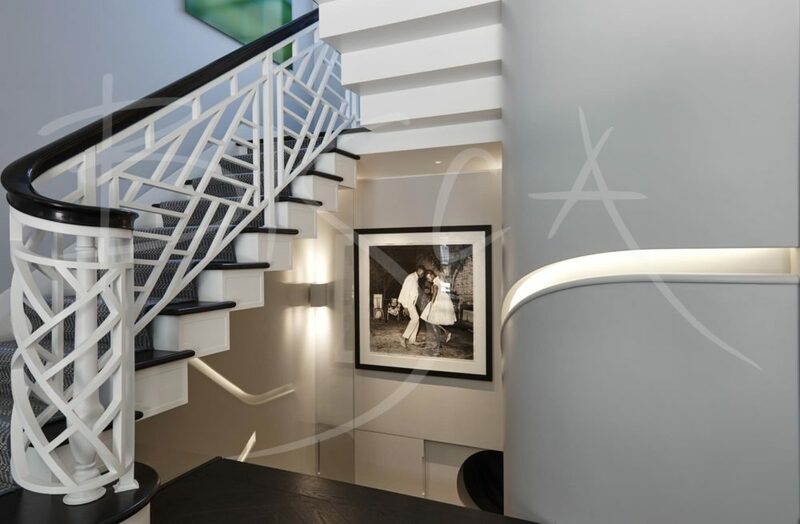 Besides the staircases, the project also included hidden handrails to the basement stair. The influence for the balustrade and newel cage design comes from Chinoiserie (Chinese Chippendale). It consists of lightweight panels and ebony stained timber handrail. 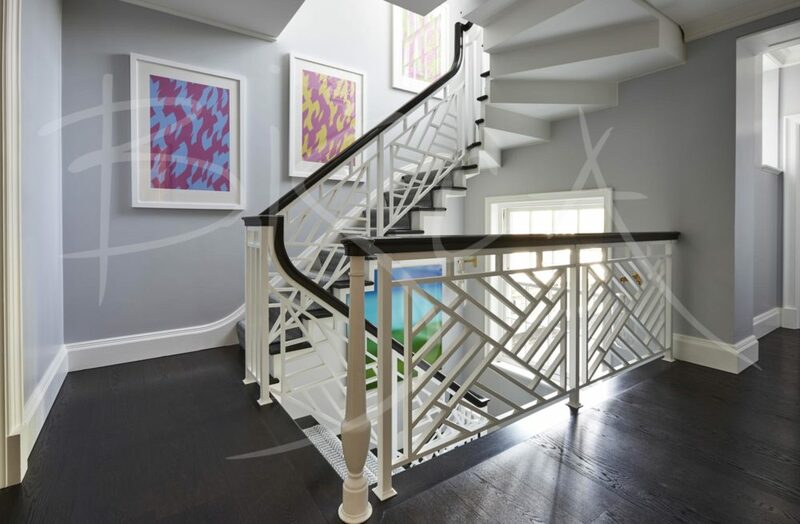 The panel design wraps around a newel post at the foot, thus forming a striking cage effect. 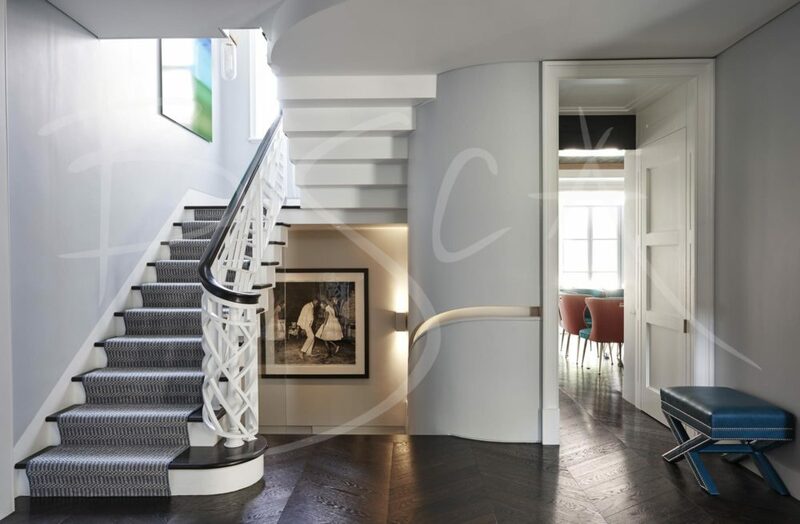 A recessed handrail follows the curve of the wall down to basement level. The design includes a shadow gap detail and accommodation for an LED strip. The design of the upper stair is more subservient, whilst at the same time complimenting the lower flight. Both flights share the same balustrade design. Treads and landing noses are of kiln dried brushed oak, finished to match the existing floor. For more information on this project please quote reference 5157 or “Chippendale” Staircase. If you don’t use a staircase specialist, then your architect may give your drawings to a fabricator or a builder. They may or may not be able to resolve design issues as the build evolves. 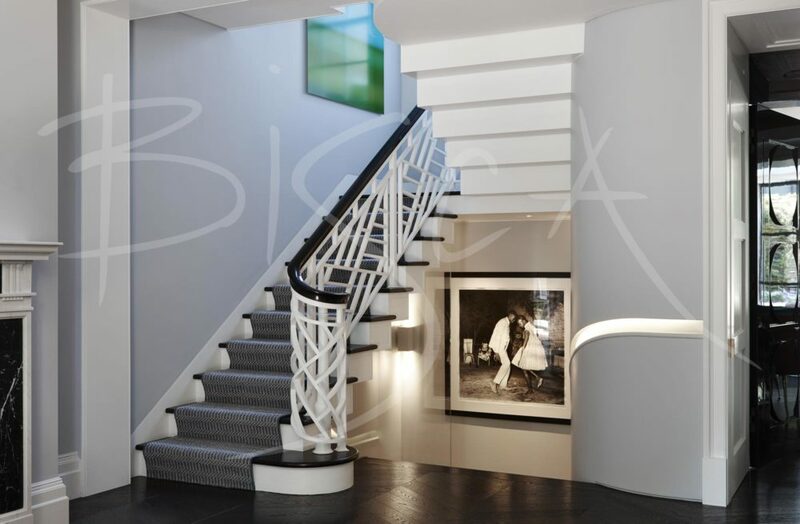 Bisca’s process resolves any discrepancies, for example, floor to floor changes, before arriving on site. In conclusion, the synergy between your architect and a staircase specialist is of greater value than either one working alone. 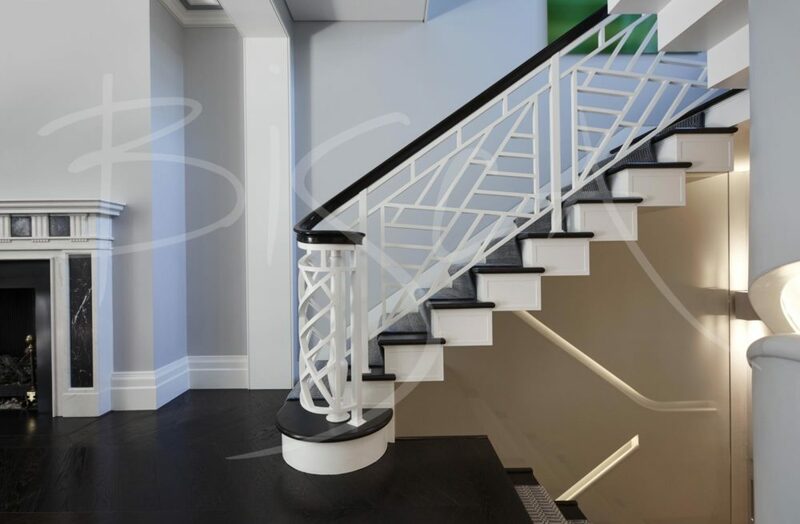 Anything other than a standard staircase needs a staircase specialist.